Lékué - Steamer Cook two dishes at the same time in your Lékué steamer! Eating tasty and healthy food is possible! From traditional bamboo steamers to the most innovative modern materials, but always following the same philosophy: steaming food to maintain all of its properties and intensify flavours. Suitable for 1-2 people. Compatible with Ø 19-22 cms pots. Collini - Pet Stripping Knife 8, large teeth This stripping knife has been specifically designed for professional use. This type of boxcutter used to remove the old hair from the coat of your dog, for it lighter and make it healthy and beautiful. The blade is fabricated with excellent quality steel to ensure a high precision work. The ergonomic wooden handle shape will be very comfortable even for long periods of use. Stripping knife wide tooth (for the rest of the body) is ideal for grooming Jack Russel. Scope: the dog's body Blade length: 7.5 cm. Total length: 18 cm. Collini - Pet Stripping knife 9 - fine Pretty smart tool for everyone - exclusive underocat remover as well as great for hand stripping. It can do actually all work - remove undercoat, full strip and be used for rolling. If you are considering to buy only one knife for all, go for Fine. It's our best seller, most popular knife. Also called ''the little yellow'', after a knife which was once existing, but his production stopped. Our knife is very alike in function to the ''old yellow one''. Fine knife has specially prepared sharpness, therefor it's not able to cut hair, but only remove together with roots. Blade length: 4 cm. Total length: 15 cm. Collini - Pet Stripping knife 12 - fine Pretty smart tool for everyone - exclusive underocat remover as well as great for hand stripping. It can do actually all work - remove undercoat, full strip and be used for rolling. If you are considering to buy only one knife for all, go for Fine. It's our best seller, most popular knife. Also called ''the little yellow'', after a knife which was once existing, but his production stopped. Our knife is very alike in function to the ''old yellow one''. Fine knife has specially prepared sharpness, therefor it's not able to cut hair, but only remove together with roots. Blade length: 5,5 cm. Total length: 16 cm. Lékué - Cookie glass 8 parts Silicone Lékué surprise with this set that includes 8 molds to make as many cylindrical glasses in cookie dough, pastry, shortcrust and more. Easily sformabili, the cylinders that are obtained can be filled with either cream, ganache, ice cream, fruit or other. can also be used to make ice glasses, and try without doubt, the savory version to be filled with pates, sauces, tartare, and more. Excellent vegetarian and vegan versions. It can also be used in the microwave for a quick result Surprise friends and family with the molds in Lekue silicone, designed to create cookie cups to be filled in a thousand ways! The pack contains 8 individual molds (4.5 cm in diameter and 7 cm in height) Inside there are special recipes: includes gluten-free recipes and even ideas for different fillings. Created by Chef Dominique Ansel. 100% platinum cured silicone mold Within easy recipes. Project plate Adaptable - mm.600 x mm.120 ADAPTABLE is the new modular system, simple and versatile. essential accessories for pastry shops, hotels, restaurants and catering. Ideal to create innovative weight portions and always of equal size and to optimize the working times and storage spaces. A kit characterized by geometry and rationalization, stylistic brand of Master Gianluca Drum. As a natural continuation of the project are born this year in Italy Pavoni modular instruments Adaptable. "With the new Adaptable project - says Drum Master - continuing my study in collaboration with Peacocks on the architecture of the cake, the perfection of the forms and coding of flavors." The molds and the measuring instruments already marked not only for the beauty of the compositions have been designed, but also to optimize the working times and storage spaces, reducing waste to a minimum. Particularly suitable for the creation of the weight portions and always equal in size - from classical rectangular shapes up to more creative formats - with these tools can be combined with different structures and finishes in cream, jelly or compound, for a multilayer result without particular difficulties. All Adaptable equipment are so modern pastry kit practical and essential. Extent of plaque: mm600 x mm120 divided into 19 portions. 2 Rings 18/10 stainless steel with a diameter of 20 cm and 17.50 cm High. 3 cm. Uses: The rings for Serve can be used to give a shape to any food circolare.Possono be used as "stencils" for Serve. Resting on the plate, you can fill them with rice, pasta, spaghetti, or other foods already cooked as vegetables and more. Once filled, preferably greased with butter or oil, removing them from the food cooked dish that will take shape giving an aspect "content" and ordered the food impiattato and thus giving a shape "rounded" to the food cooked. Artero scissors pack containing: scissors cut 5.5 " Scissors to sculpt 5.5" Razor Artero Creative 's Razor models is compatible with interchangeable blades: Blades Razor Feather Stuling Description Scissors: design symmetrical hard aluminum handle makes are extremely light. 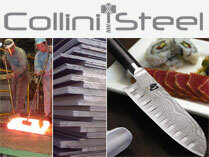 Japanese steel alloy. Adjustable screw. Concave leaves. In the case of thinning scissors takes 30% of emptying.